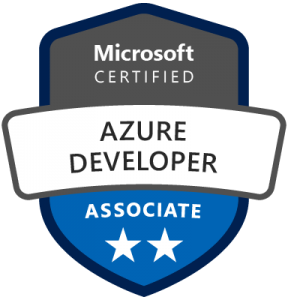 The AZ-203 track and exam was rolled out as a replacement for the AZ-200 + AZ-201 or AZ-202 exams for earning the Microsoft Certified: Azure Developer Associate certification. This was a move to simplify the process to earning this certifications based on feedback received from customers. 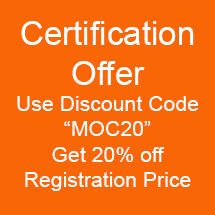 Please visit AZ-203: Azure Developer Certification Track for training options. This course is designed for developers who already know how to code in at least one of the Azure-supported languages. How to ensure you solution meets performance expectations in Azure. It covers asynchronous processing, autoscaling, long-running tasks, and distributed transactions. Additionally, you’ll learn how to leverage Azure Search for textual content, and how to implement instrumentation and logging in your development solution. How to integrate and manage APIs by using the API Management service, configure a message-based integration architecture, and develop an application message model. How to integrate Azure Cognitive Services, like Computer Vision, QnA Maker, and natural language processing in your solution. You’ll also learn how to create and manage bots using the Bot Framework and Azure portal. The course also covers leveraging Azure Time Series Insights, Stream Analytics and the IoT Hub for your IoT solution. This is one of two exam preparation course tracks required to earn the Microsoft Certified: Azure Developer Associate Certification. You must also complete the AZ-200: Microsoft Azure Developer Core Solutions Certification Track and pass Exam AZ-203: Developing Solutions for Microsoft Azure in order to become a Microsoft Certified Azure Developer Associate. This exam is intended only for candidates who have taken Exam 70-532: Developing Microsoft Azure Solutions. If you have not taken Exam 532, you will not earn a certification by taking this exam. This exam retires on March 31, 2019. A replacement exam may be available.